Welcome to A Ritual of War! 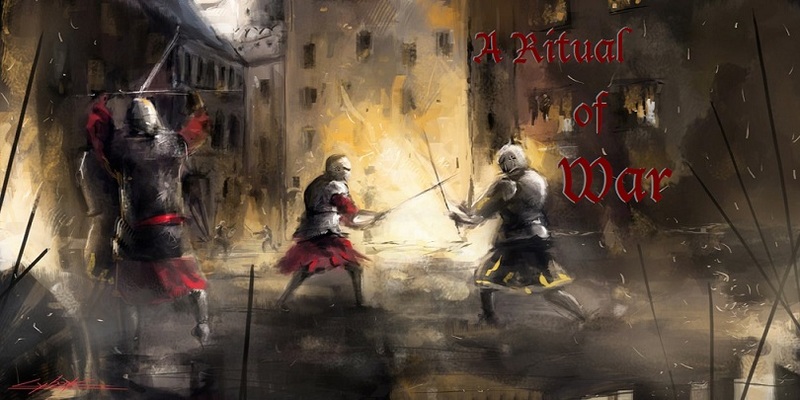 A Ritual of War is a medieval fantasy RPG set in the brutal world of Cruinthe. Or try clicking on this post's title. Or try this link: Beginner's Guide. Tyranny and a plague of violence has spread from the capitol of Cruinthe into the surrounding lands, killing non-humans wherever the Sovereign Kingdom of Cruinthe's forces find them. The Empire of the High Born's greatest mass murderer is leading her acolytes on a genocidal campaign in the south, wiping out humanity wherever she finds it. A darkness is rising in the rural areas of Cruinthe, whisperings of old, dark gods are filling the streets. The Alliance is in desperate need. They are the only thing that stands between utter doom for all, and life. Formed from misfit factions within Cruinthe itself, they must fight an enemy that dwarfs them both in military might and magical prowess.